Ohio Medicare or individual health insurance is a necessity for everyone. Even those who currently have no health problems and feel their absolute best still need health insurance. It could be in the blink of an eye that a health ailment causes dismay in your life. If you are not ready and prepared with a health insurance policy you could be up the creek without a paddle. Health insurance covers all or partial costs of doctor visits, emergency room visits, prescription medications, vision coverage, lab work, surgeries and more, dependent upon the type of health insurance policy that you select. The more areas covered, the more expensive the insurance will be. However, trying to pay these costs on your own can easily add up to thousands and thousands of dollars. This is debt waiting to happen! Rather than allow this to happen, why not compare Ohio individual health insurance plans? There are several ways in which you can compare coverage, all of which are simple, free and easy, taking just minutes of your time. Let’s take a look at 5 different ways that health insurance can be compared. Use one or more of these methods and discover the best priced policy for your needs. Online tools are by far the most popular means of comparing individual health insurance policies and prices. You can use the web to compare any time that you would like, night or day. The hassle begins if you try to apply for plan online without speaking to an agent. Health insurance and Medicare can be very confusing. It is not a good idea to apply unless you speak with someone first to make sure you understand what you are purchasing. Is there a specific insurance company or health plan that you are interested in? If so, give us a call and one of our agents help you compare the plans being offered. You may need to answer some basic questions to get the quote, so be prepared with your date of birth, home zip code, and the names of any doctors or medications that you need covered. Also, ensure that paper and pencil is available so that you can write down pertinent information. Ohio Health Insurance Agents – work locally! 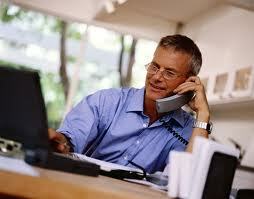 If you don’t mind talking to someone overseas, then you can call the insurance companies directly. However, if you want to speak with someone who speaks clear English and lives in Ohio, then EasyToInsureME can help you get Medicare, Health Insurance, Dental or Vision Coverage. going out and about you can always make your health insurance comparisons by visiting the company that you are interested in. Of course, this can be time consuming and can cost you a bit of fuel. Other tips: Talk to your Employer to Compare Ohio Medicare insurance vs employer coverage. Oftentimes individual health insurance is available from your employer. If it is, the employer may be able to help you make comparisons so that you find just what you need for your lifestyle. Preferred Provider Organization, or PPOs, are popular in the United States. With almost unlimited places to receive care, they are certainly worth looking into. When you take the time to compare individual health insurance you can save a ton of cash while getting the insurance policy that you need. Get quotes from all carriers now at the top of this page from EasyToInsureME.com; the leading health insurance brokers in the country with the best personal assistance. Start with an Insurance Quote.